Hello friends, I'm here today to share a fun love-themed layout! 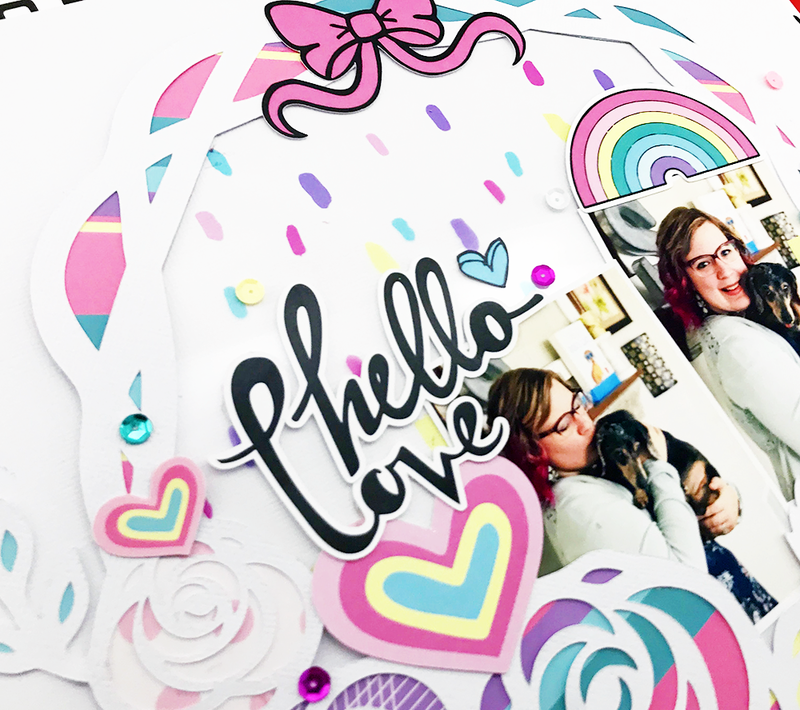 This layout is full of hearts and fun colors, and is all about my adorable dog! To create this layout, I started with a circle-shaped cut file from the Silhouette store. I backed the cut file with paper from the "Everyday Wishes" collection. Next, inspired by a layout I did with Jolly, I used the beautiful confetti acetate behind the circle to finish the background. With the background in place, it was time for my favorite part--embellishing! I added lots of hearts and sequins. I thought the perfect title for the heart-filled layout would be "hello love". I l love him so! Finally, I matted the whole layout unto a black and white patterned paper. I love how it turned out! Thank you for joining me today, I hope you feel inspired to make a layout about someone/something you love!